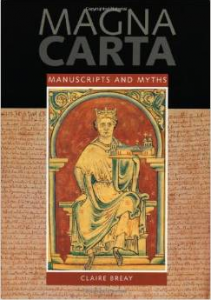 The Magna Carta 800th Anniversary Commemoration Committee has been working with a multitude of historians and authors working on titles to be released this year. 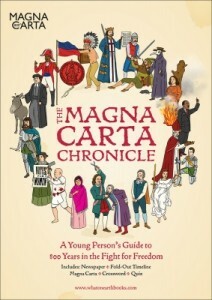 Our aim is to make Magna Carta accessible to everyone – and titles for 2015 include resources for younger audiences, schoolchildren, and adults studying at an academic level. What on Earth? Wallbooks promote education through natural curiosity and adventure. 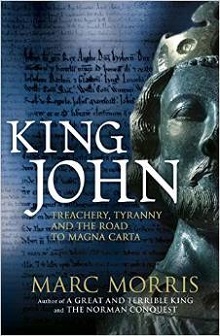 The Magna Carta Chronicle charts the fight for freedoms from the sealing of Magna Carta by King John in 1215 to the present day. 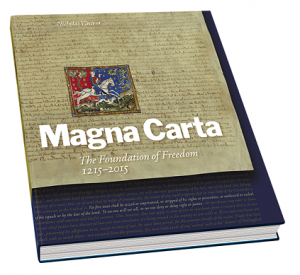 It includes more than 40 newspaper articles, a 2m-long fold-out timeline wallchart, a crossword, a 50 question multiple-choice quiz and a souvenir copy and guide to the Magna Carta itself! 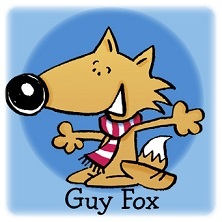 London publishers Guy Fox work closely with schoolchildren in the South East of England on projects to bring history to life. 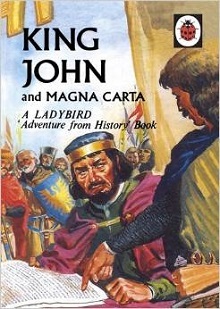 Their children’s educational resources about Magna Carta are supported by the Heritage Lottery Fund, and are available here on their website. Inspired by Magna Carta, this entertaining and educational fable tells of the adventures of a brave mole who challenges injustice for a more democratic society. The fully illustrated book is aimed primarily at Key Stage 1 children and includes two games. 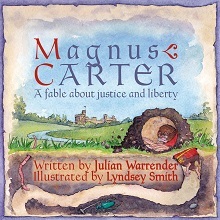 Click here to visit the Hare and Heron Press website for more information about their Magna Carta educational resources for primary schools. Published 23rd March. Available from Independent Bookshops, Amazon and the Hare and Heron press website. 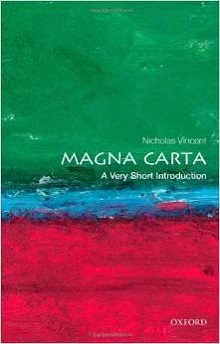 In this illustrated volume, Professor Nicholas Vincent of the University of East Anglia, is joined by a range of leading experts on Magna Carta from across the world to reflect on the Charter’s genesis and importance today. 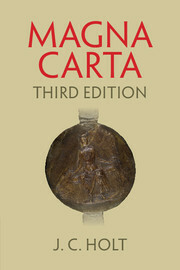 By Third Millennium Publishing, some proceeds from the American Bar Association commemorative edition shall support the work of the Magna Carta Trust. Click here to visit the website. This book is a record of all the speeches, research, and commemorative events that happened in New Zealand in 2015. Divided into sections, it looks at the Constitutional history of New Zealand and the nation’s relationship with Magna Carta. Click here to download this e – book. A milestone in the development of constitutional politics and the rule of law, the ‘Great Charter’ established an Englishman’s right to Habeas Corpus and set limits to the exercise of royal power. For the first time a group of subjects had forced an English king to agree to a document that limited his powers by law and protected their rights. 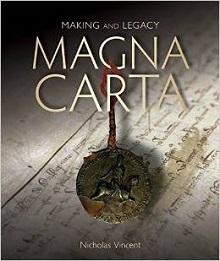 This is a beautifully produced account of the signing, impact and legacy of Magna Carta, a document that became one the most influential statements in the history of democracy. 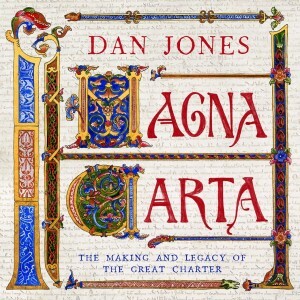 Dan Jones’s elegant and authoritative narrative of the making and legacy of Magna Carta is amplified by profiles of the barons who secured it and a full text of the charter in both Latin and English. 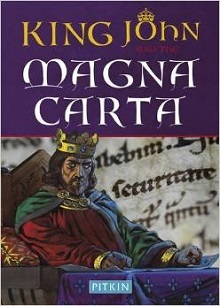 Click here for more information on Magna Carta and Head of Zeus Publishing. Click here to watch a short video featuring the book! Following a hugely successful exhibition bearing the same name, Justice Holland has compiled this collection of illustrated scholarly essays in association with the Law Library of Congress in Washington. Click here to visit the Law Library of Congress website. 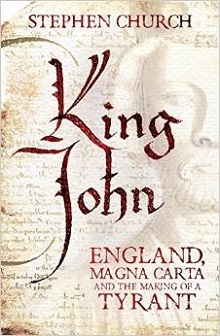 This revised edition of J. C. Holt’s classic study of Magna Carta, the Great Charter, offers the most authoritative analysis of England’s most famous constitutional text. 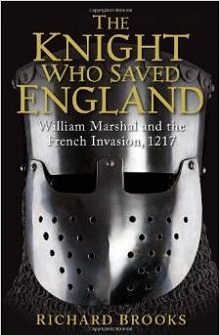 The book sets the events of 1215 and the Charter itself in the context of the law, politics and administration of England and Europe in the twelfth and thirteenth centuries. Additionally, a lengthy new introduction by two of Holt’s former pupils, George Garnett and John Hudson, examines a range of issues raised by scholarship since publication of the second edition in 1992. 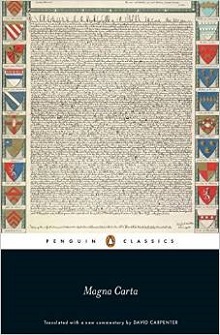 These include the possible role of Archbishop Stephen Langton; the degree of influence of Roman and Canon Law upon those who drafted the Charter; other aspects of the intellectual setting of the Charter, in particular political thinking in London; the Continental context of the events of 1212-15; and the legal and jurisdictional issues that affected the Charter’s clauses on justice. 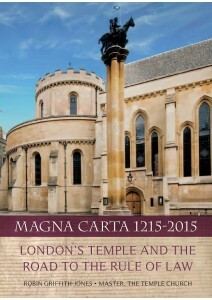 Master of the Temple Church, Robin Griffith-Jones, assesses the path Magna Carta has taken since its genesis in 1215. Temple Church have a variety of commemorative events taking place in Magna Carta’s 800th year – including performances from the Globe Theatre, and a new Magna Carta exhibition. For more information, click here. 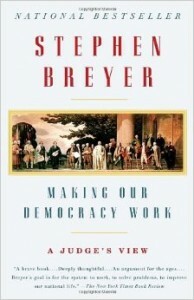 Justice Stephen Breyer’s book discusses the US Constitution, and the responsibilities of a Judge in interpreting the clauses of one of the most influential documents of the present day – which owes much of its success to the precedents set by Magna Carta. 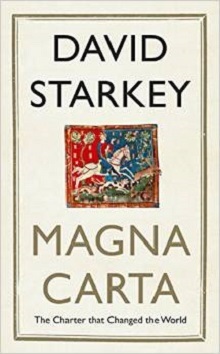 Claire Breay explores the context in which Magna Carta was issued to discover what it really meant to its creators and how it came to be an iconic historical document. 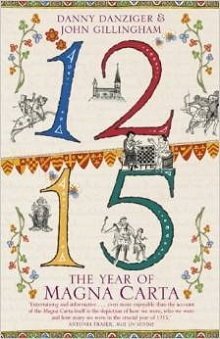 This updated edition includes full colour illustrations. Available Here. 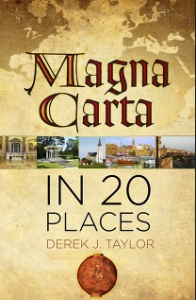 Derek Taylor tells the story of this world famous document in a unique and entertaining way, through twenty places associated with the Great Charter’s birth and extraordinary later history. The journey takes us through England and Wales, to France, the Middle East and the USA. To see the historic itinerary, click here. 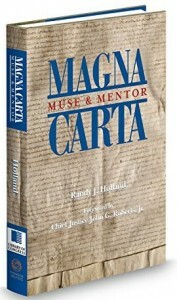 Anthony Arlidge and Igor Judge trace Magna Carta’s influence on documents in later centuries, up to the drafting of the Constitution of the United States of America. Anthony Arlidge has been a Queen’s Counsel for over 30 years, and was called upon during a case in 1990 to argue the meaning of clause 40 of Magna Carta. Igor Judge was a judge for 25 years and retired as Lord Chief Justice of England and Wales in 2013. 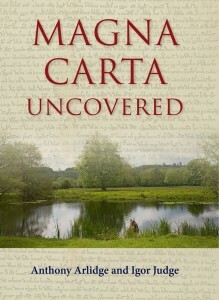 Click here to visit the Magna Carta Uncovered webpage. ByThomas Asbridge (Simon & Schuster UK) Click here for more information. By Richard Brooks (Osprey Publishing). 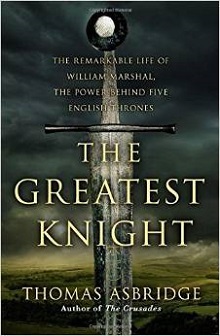 At the battle of Lincoln, the seventy-year-old William Marshal led his men to a victory that would secure the future of his nation. Earl of Pembroke, right-hand man to three kings and regent for a fourth, Marshal was one of the most celebrated men in Europe, yet is virtually unknown today, his impact and influence largely forgotten. Click here for more information. By Professor David Carpenter (Penguin Classics). With new research giving readers a greater understanding than before, Professor Carpenter’s authoritative text was make a Penguin Classic immediately. Click here for more information. By Professor Stephen Church (Macmillan)Click here for more information. By Danny Danzinger and John Gillingham (Hodder Paperbacks) Click here for more information. By Sean McGlyn (The History Press) Click here for more information. By Marc Morris (Hutchinson) Click here for more information. By David Starkey (Hodder and Stoughton). Following a hugely successful documentary on the BBC, David Starkey has written a companion guide. Click here for more information. By Professor Nicolas Vincent (OUP Oxford) Click here for more information. By Professor Nicolas Vincent (The Bodleian Library) Click here for more information. If you would like to keep informed about the work of the Magna Carta Trust and our partners, please sign up to the newsletter below. There are a number of significant supporter opportunities. Register your interest early to ensure the widest range of options.